Owner Dee McCraken enjoys needle felting as a hobby. She specializes in making these little felted creations using a wire armature wrapped in fleece and stabbed thousands of times with a single barbed needle. As the fibers interlock, the fleece tightens and then after maybe up to 20 hours of work the mini me is born! They are a unique way to immortalize your loved canine friends. Company Story – A lover of dogs, Dee enjoys needle felting as a hobby. 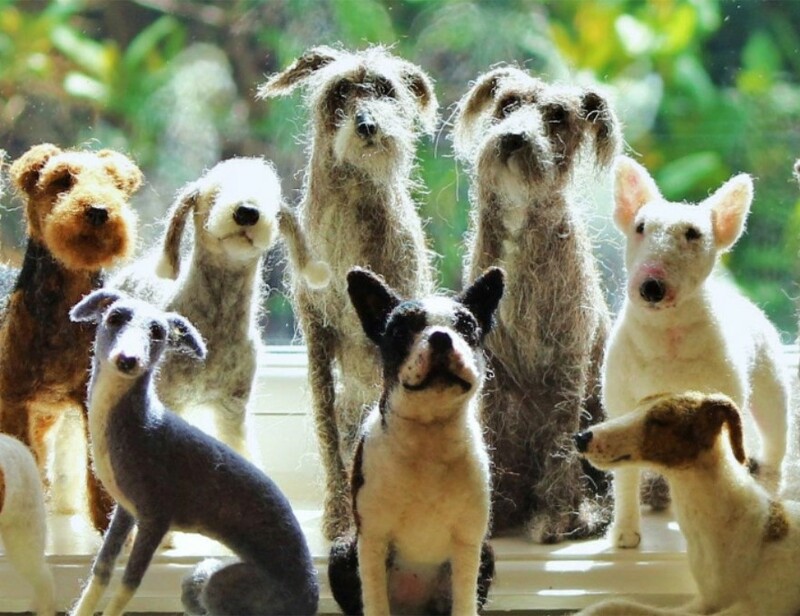 Having share most of her life with dogs has led her to specialize in making these little felted creations. Product Story – Needle felted dogs and other wee creatures hand felted to look just like your best friend.